Western Canoe Kayak is celebrating more than 40 years in business. Western first started out as an importer of canoe paddles, distributing them into the Vancouver market. In the late 70s, the Company started a manufacturing facility in Abbotsford to begin building Clipper Canoes. The owners, Marlin and Mary Bayes, gave up their teaching careers and went into business full time. In 1989, a new facility and retail store were built along the freeway in a prime location, and it has since grown to be the largest paddle sports store in Western North America. Since then, other lines of products like kayaks, stand-up boards, sailboats and rafts have been added. Their son, Ryan, eventually joined them in the family business. The staff has grown to include sales people who specialize in stand-up-paddling, whitewater kayaking, canoeing, touring and sailing. Western has gained a reputation as the place to go for kayaks and canoes for sale, and if you have questions you need answered. Here at Western Canoe Kayak, we pride ourselves with having the largest and most diverse selection of canoes, kayaks, stand-up paddle-boards and accessories, with easy access through our on-line store. In addition to offering a variety of paddle sports gear for sale, we also offer canoe, SUP and kayak rentals. Our staff don’t just talk about paddling, they live for it! Whether you’re just getting into paddling or have been paddling your whole life, our staff have the expertise to answer any questions you may have. Our main mission is to help you find the best gear at the most reasonable price, and we like to make your buying experience fun as well as knowledgeable. Good service and sharing of knowledge are our most important products, and they’re free! Ryan grew up canoeing remote northern rivers on family expeditions. His love for outdoors and adventure landed him with an obsession for whitewater kayaking. Within 2 years of starting whitewater kayaking Ryan progressed to class 5 kayaking, multi day expeditions and pioneering new runs around South West BC. In recent years’ kayak fishing, paddle boarding and even rafting have crept into his quiver of paddling disciplines. Favorite Gear: Sweet Protection Intergalactic Drysuit and Wanderer Helmet. Also, Danishes! Laura has been with Western Canoeing and Kayaking since 2006. She came to us as an Adventure Tourism program graduate with a love for paddling and the outdoors. Laura has dabbled in all aspects of paddling including whitewater kayaking, sea kayaking, canoeing, stand up paddle boarding and kayak fishing. In 2010 Laura was the first person to stand up paddleboard around the 116km Bowron Lakes circuit. More recently Laura has immersed herself into kayak fishing becoming an expert in all types of fishing from a kayak. 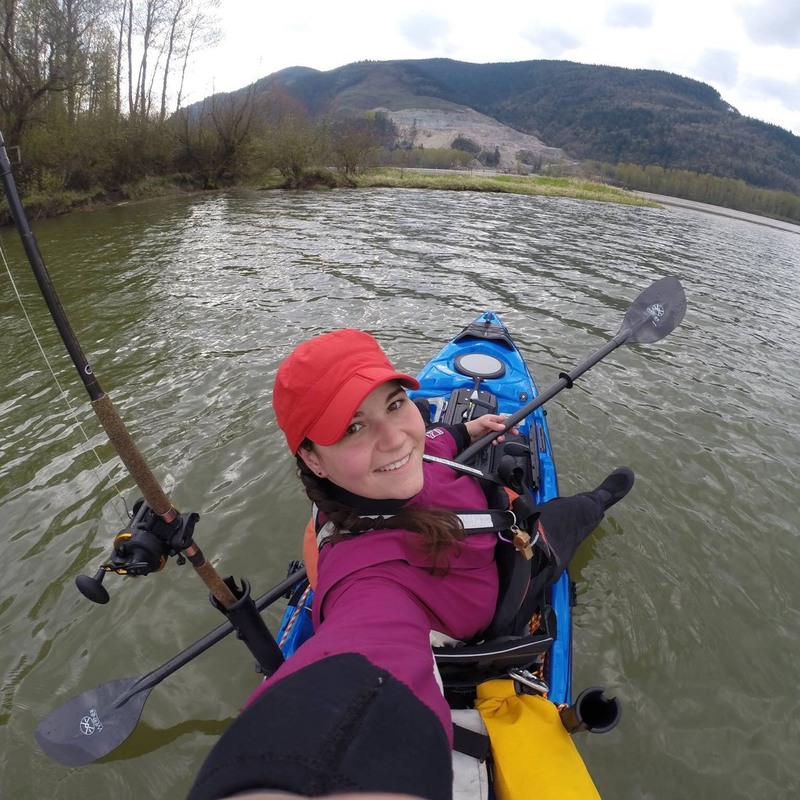 Her passion involves fishing for giant White Sturgeon on the Fraser River. Favourite Gear: My favorite gear consists of the gear I use most often. I couldn’t live without my Wilderness Systems ATAK 140 with the Helix Motor Drive and my Werner Shuna Hooked paddle. In the colder months, I practically live in my Kokatat Gore-Tex Dry Suit to keep me warm and dry. Truman has been a friendly face at WCK since 2013. A modestly capable river kayaker and camping enthusiast, Truman’s real love of paddle-sports lies with the canoe. He would be happiest to float down a meandering river for the rest of his days, searching for the meaning of life... until then, the next best thing is working at Western and sharing his love for the water. Favourite Gear: Come talk to me about Clipper Canoes (or Onewheels) and we’ll get along juusssssst fine. Sam started at Western Canoe & Kayak in the spring of 2016. He grew up in Upstate New York, hiking, paddling, and rock climbing in the Adirondack Park. He has lead numerous multi-day canoe, kayak, and backpacking trips in New York, Wyoming, Alaska, and BC. When is comes to the outdoors he is a true jack of all trades, master of none. He is always up for trying something new. Favourite Gear: I am a true gear-nerd. I love talking about exactly how Gore-tex works, and would consider myself an expert when it comes to ultra-light camping equipment. My favorite pieces of gear in the shop are the Hobie Adventure or Tandem Island, Natural Sea Sponges, and the Seal Line Pro Portage Pack. Margaret joined the WCK team in 2014. She competed in the ’92, ’96, ’00 and ’04 Olympics in the Whitewater Slalom event. She has won multiple world cup medals and has 9 National titles. When she is not chasing her 2 boys around, she can be found hiking, skiing or paddling her carbon surf ski. Favorite Gear: Anything Carbon! 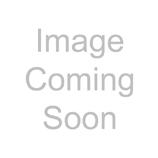 Werner Cyprus kayak paddle, Werner Grand Prix SUP paddle, Zaveral Power Surge Pro Canoe paddle (perfect for the Ski to Sea race). And don’t forget the Kokatat Paclite Gore-tex Pullover. Lynne started working with Western Canoeing in 1977, just before Kayaking was added to the name. Working part time while she completed her degree – she has turned her love of canoeing into a full-time career. Canoe tripping, a little racing, whitewater paddling, sea kayaking – it’s all on the water and she enjoys it all. Favorite Gear: If I’ve got a Kevlar CLIPPER Tripper, Zaveral B/S paddle and Salus Eddy PFD, I’m good to go.